Since opening in 2008 this Lodge has been a favorite of various groups wanting modern facilities with the ultimate in privacy. From throughout the Lodge setting,incomparable mountain views serve to enhance the experience of this serene setting. 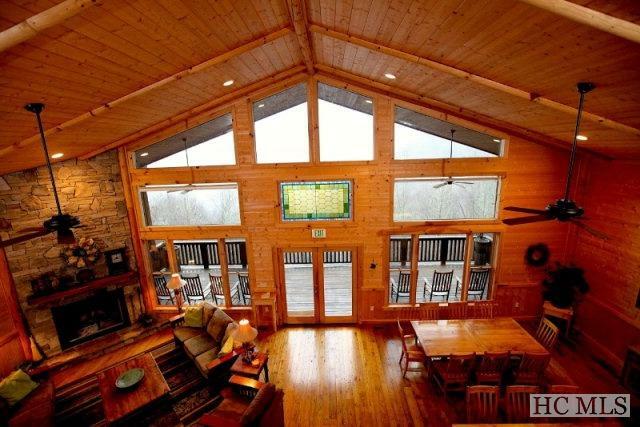 Beautifully finished wood on the interior serves to enhance the "Lodge" feel. One of the highlights of the dinning/reception area is the wormy chestnut wood floor fastened with cut nails with rose heads. Other amenities include Internet, wifi, Dish TV, complete heating and cooling system, and did I mention the view? The uses for this facility are many and varied from a place for weekend gatherings to a setting for a business or organization to hold seminars, planning retreats, etc. 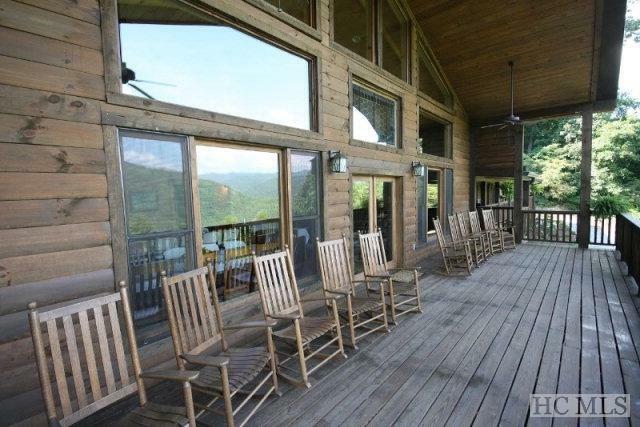 It could serve as a first class hunting Lodge or an ideal mountain vacation retreat for a large family. 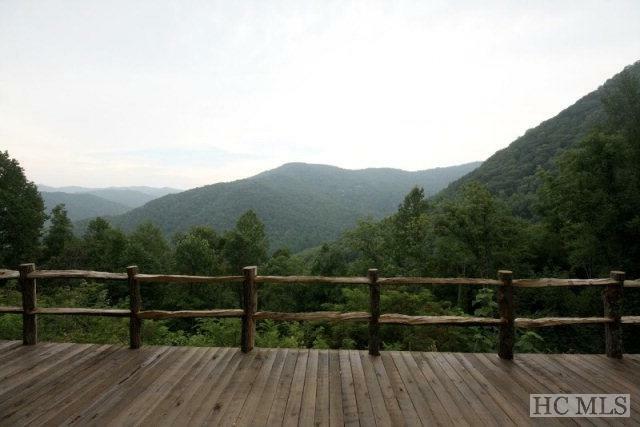 Much of Swain County lies within the Great Smoky Mountains National Park. Four scenic rivers,the Nantahala, the Tuckasegee, the Oconaluftee, and the Little Tennessee, flow through the county and form Lake Fontana. Bryson City is the county seat and is truly the gateway to a host of activities. 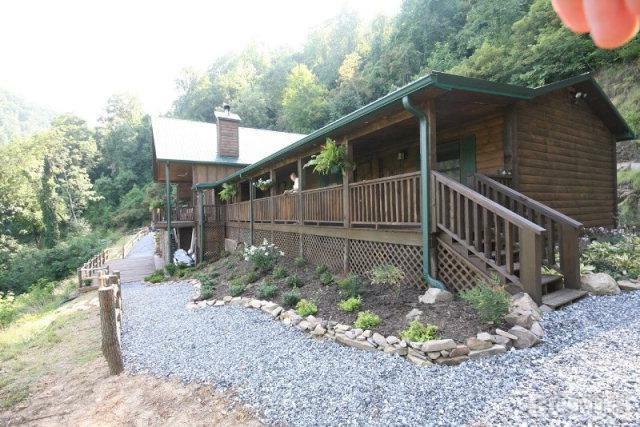 It is a short driving distance to world class whitewater rafting, as well as biking, hiking,camping, scenic waterfalls, snow skiing, golf,and incomparable vistas such as Clingmans Dome, the highest peak in the Smokies. The Smoky Mountain Railroad is based in Bryson city and is a favorite of thousands throughout the year. The Polar Express captivates wide eyed youngsters during the Holiday Season. A wide variety of interesting shops provide a unique shopping experience. The Cherokee Indian Reservation is minutes away with numerous activities including Harrah's Casino. Listing provided courtesy of Jack Calloway of Highlands Sothebys Intl Rlty - Dt Office.